Comparing a Landscape Contractor, Architect and Designer | Santa Barbara | Down to Earth Landscaping Inc.
As a state licensed landscape contractor, we value the role of each one of our fellow landscaping experts. We recognize that each of us have a role to play in making a project beautiful, functional and safe. Because this is the case, we thought it would be helpful to our readers to help you differentiate between a landscape disciplines to better prepare you for planning your next landscaping project. 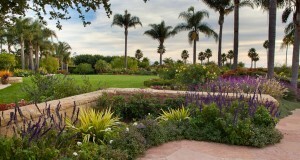 Landscape Architects are of vital importance here in Santa Barbara. An ordinance requires that a landscape architect approve all public spaces. They can draft and approve plans. They can also attend Architectural Board Review (ABR) meetings and see the project through that early stage. Over the last 41 years, we have worked with dozens of Landscape Architects. We have compiled an extensive list of these architects: their interests, strengths and weaknesses. Call us! We’d be happy to share our experiences working with Santa Barbara architects. There is overlap between a landscape architect and designer. Many landscape architects also do design but landscape designers cannot prepare architectural plans that require approval by your local building and safety inspector. Designers do many of the same things architects do; in fact many of those who present themselves as landscape designers may also be licensed architects. The distinction, however, between the two is usually found in where thy like to focus. Those who identify themselves as a landscape designer prefer to concentrate on the conceptual, visual and the artfulness aspects of the project. They may be less drawn to projects that require structural technicalities and requirements. They often offer designs via artistic mediums, such as watercolor and the like. They may be less expensive than a landscape architect, and therefore, you should hire a landscape designer if you want to explore the creative and imaginative aspects of your landscaping project and do not require the need of city project inspection. Landscape Contractors – That’s us! An excellent landscape contractor is worth their weight in gold. In fact, they literally turn poor soil into rich and fertile ground that will make your garden healthy and beautiful….some call it landscaping alchemy. 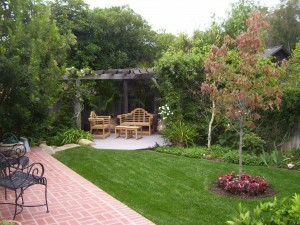 Landscape contractors are the bridge the between architects/designers and the client. They combine their practical construction, plants, soil and irrigation knowledge with the eye of a designer, and in many best cases, the technical knowledge of an architect as well. As experienced landscape contractors with over 40 years of experienice, we can often look at plans and predict where problems will occur. A state licensed Landscape Contractors holds a C27 license. According to a government website on the subject, this license exists to protect consumers and contractors, as well as to monitor the ways in which landscape work must be done. Consult with us anytime when you are contemplating a landscape project. Withstand the temptation of an unlicensed common gardener’s cheap price because it will not result in the long-term garden health you desire and can have when an expert landscape contractor does your job correctly. 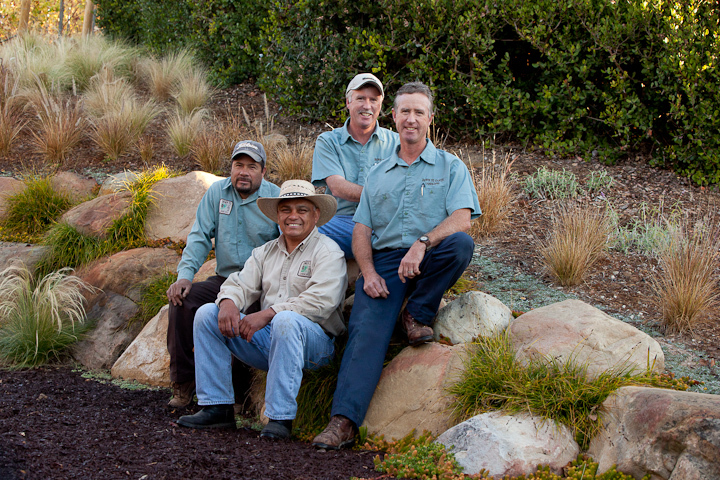 With 41 years of experience in the Santa Barbara area, Down to Earth Landscapes, Inc. is a respected name in the Santa Barbara landscaping community. We have an extensive list of local landscaping resources and we’d love to direct you to a reputable landscape architect or designer. And, of course, we’d appreciate being your landscape contractor!